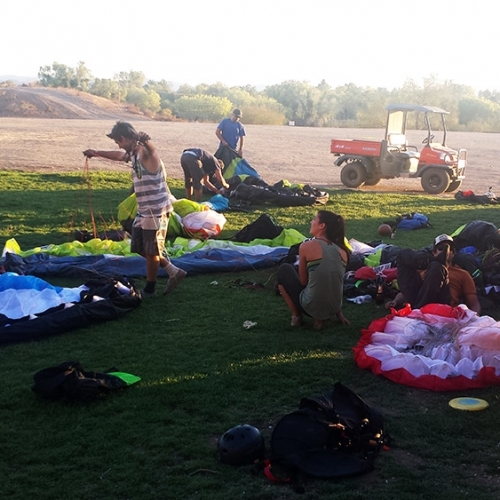 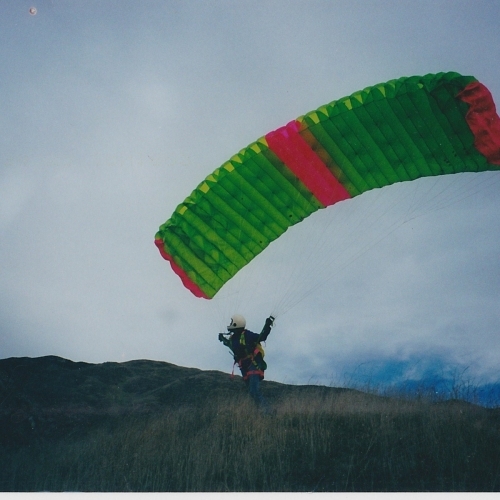 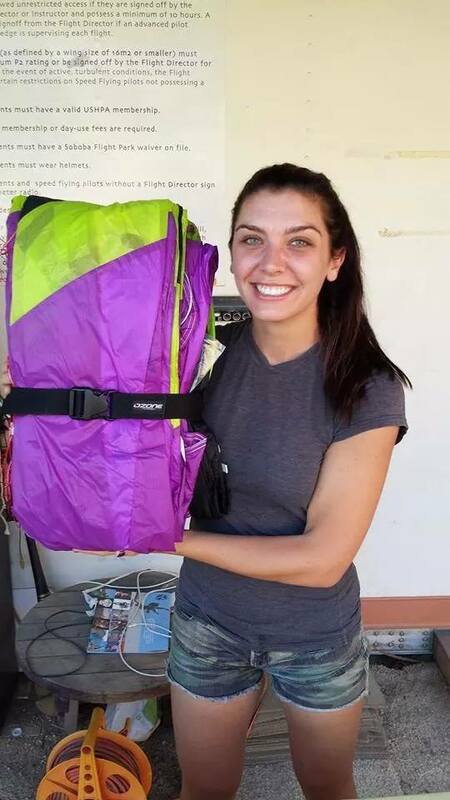 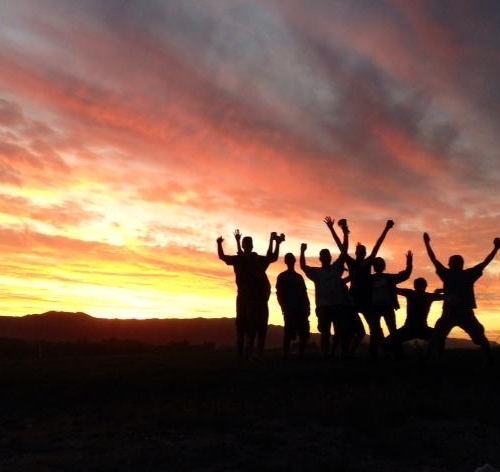 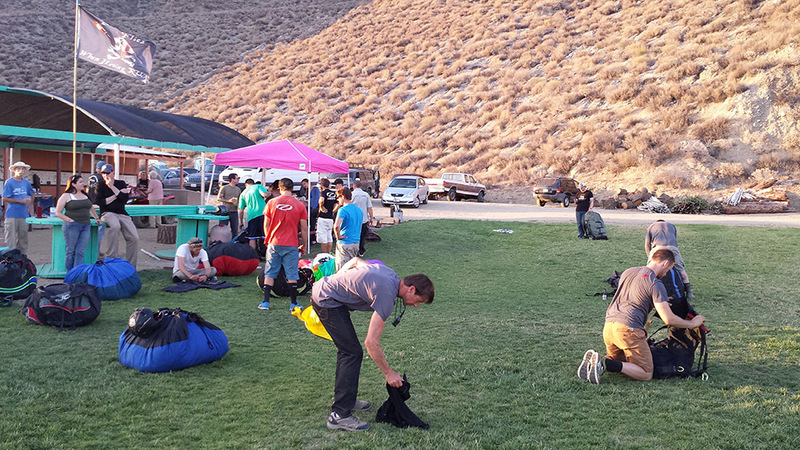 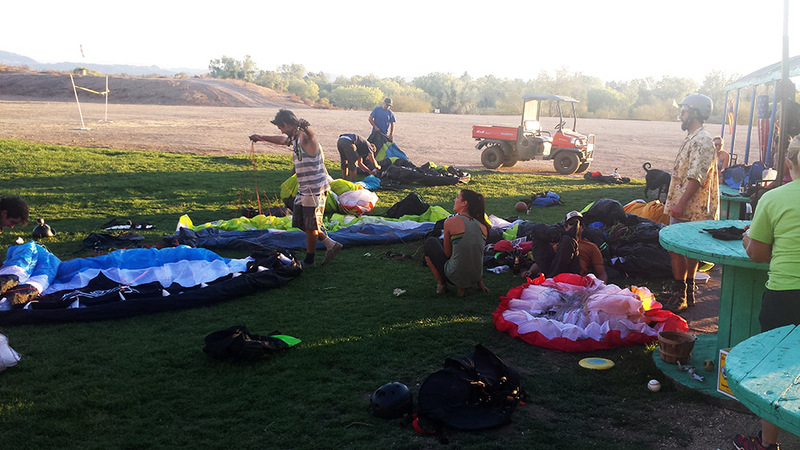 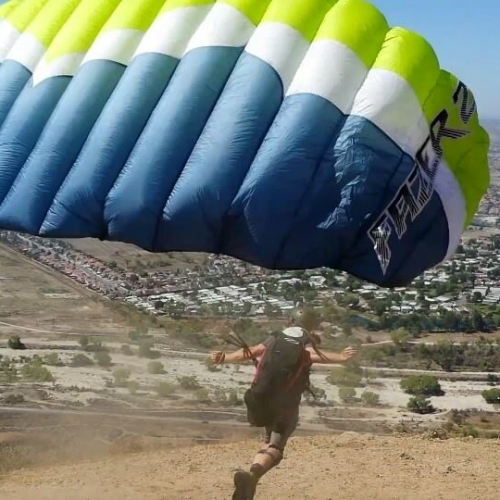 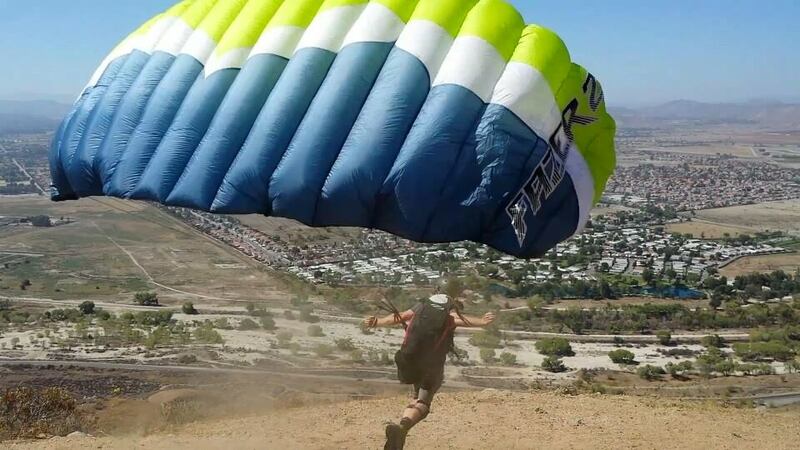 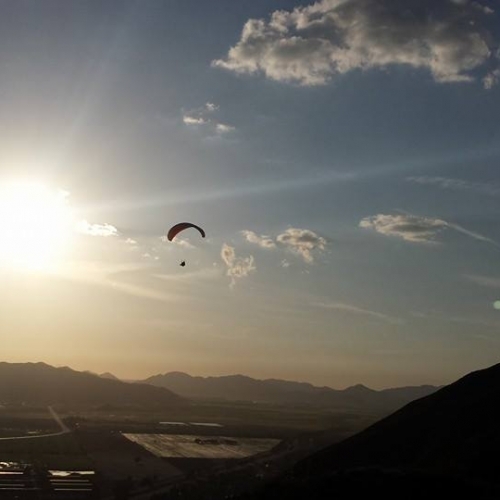 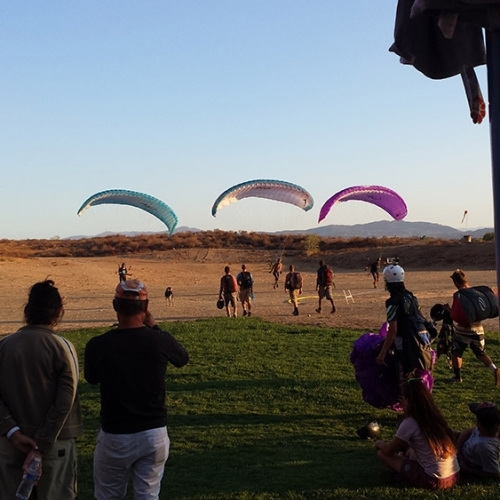 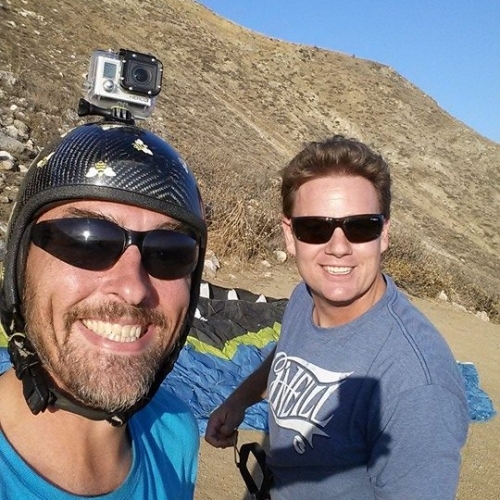 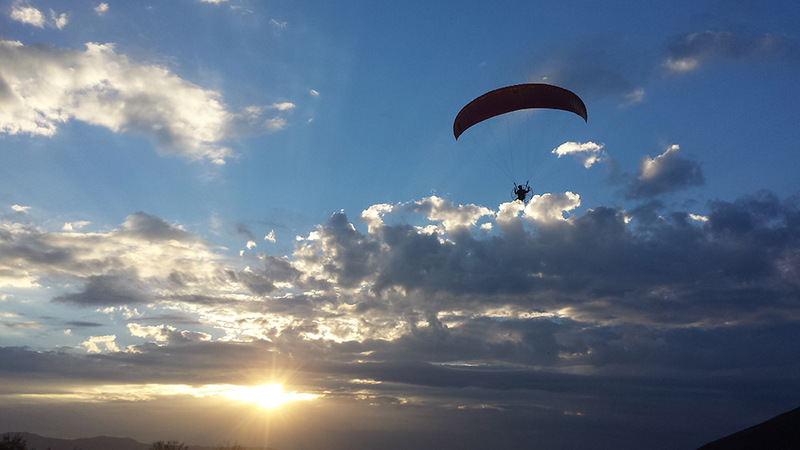 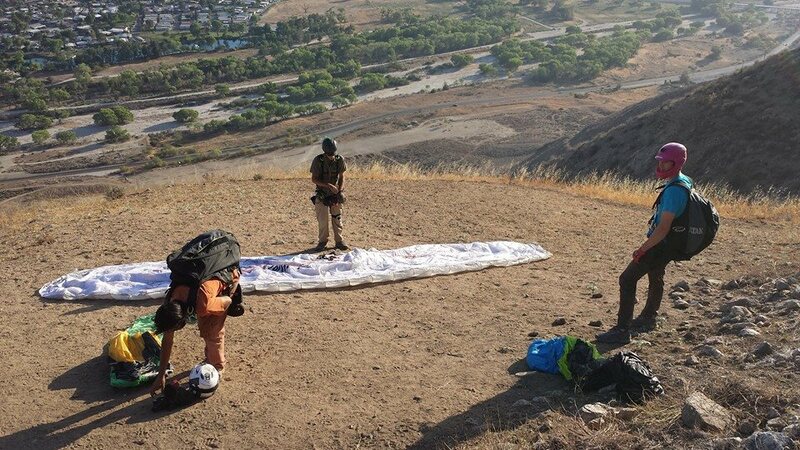 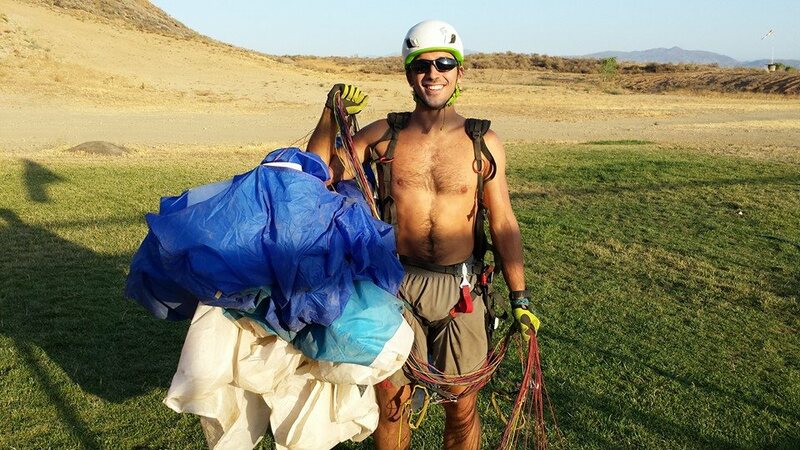 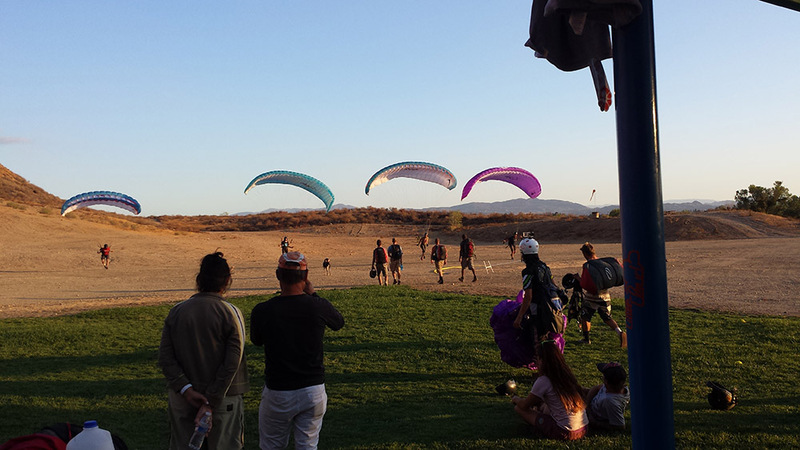 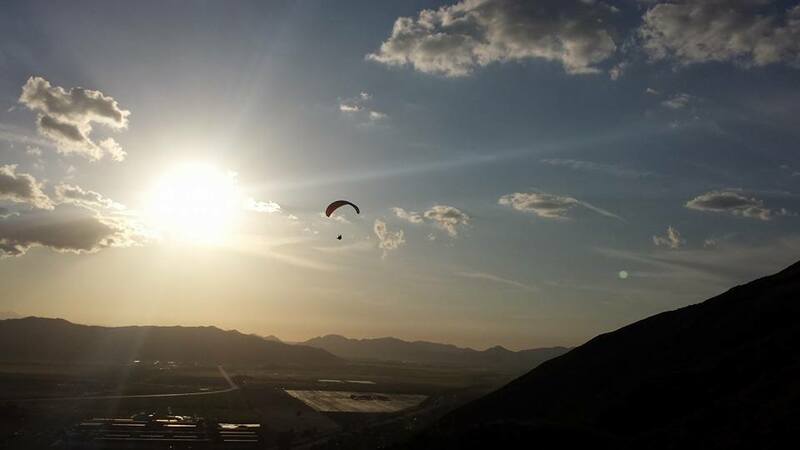 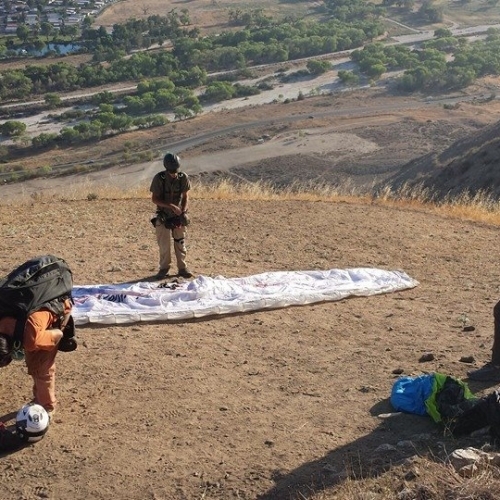 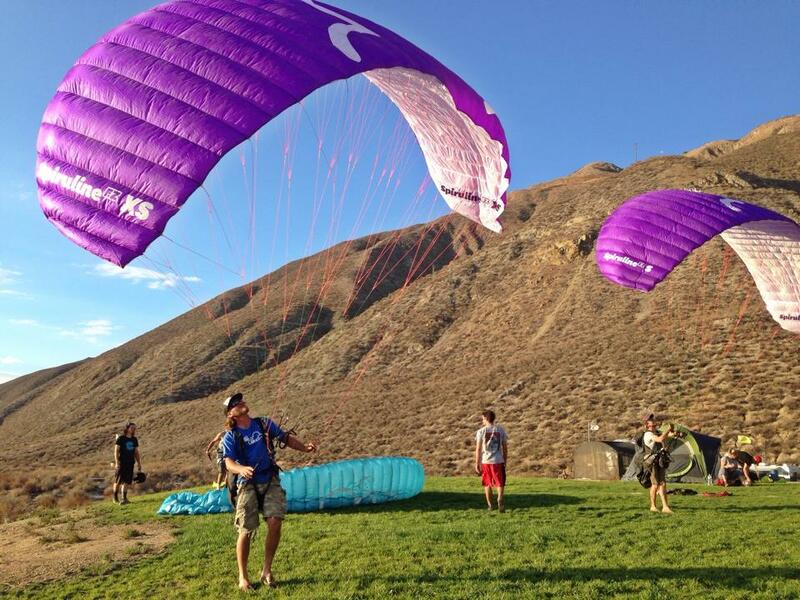 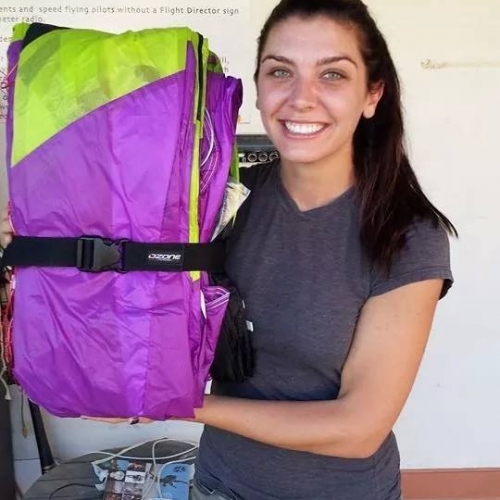 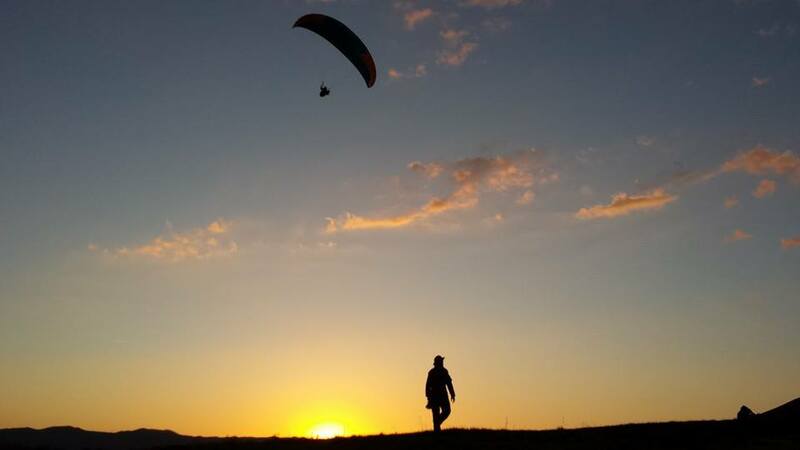 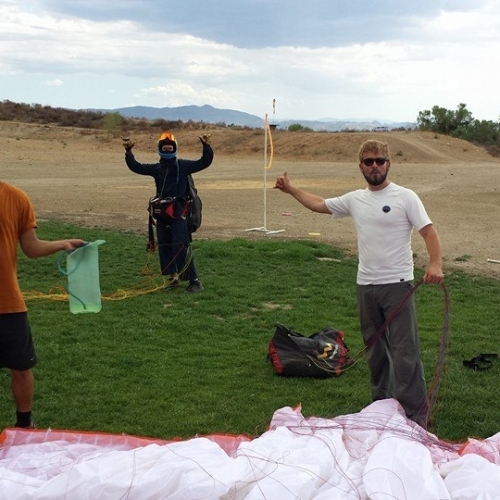 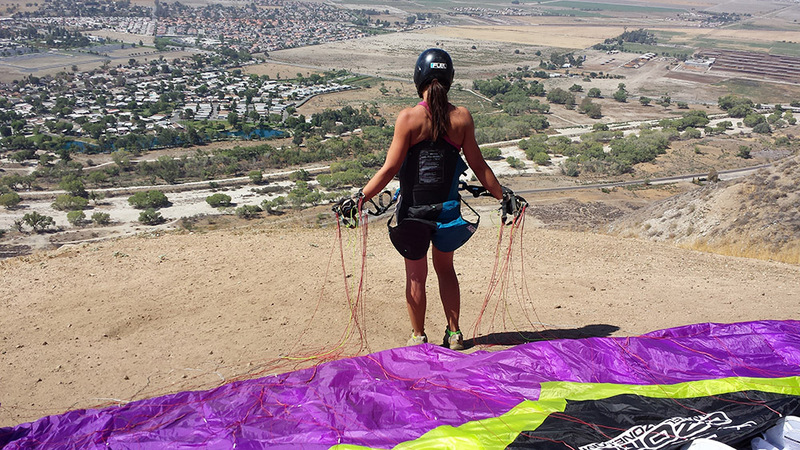 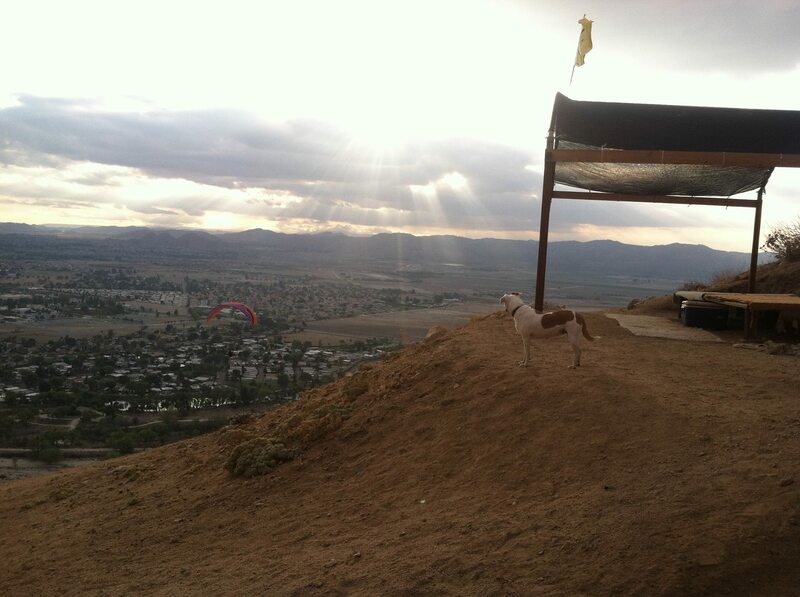 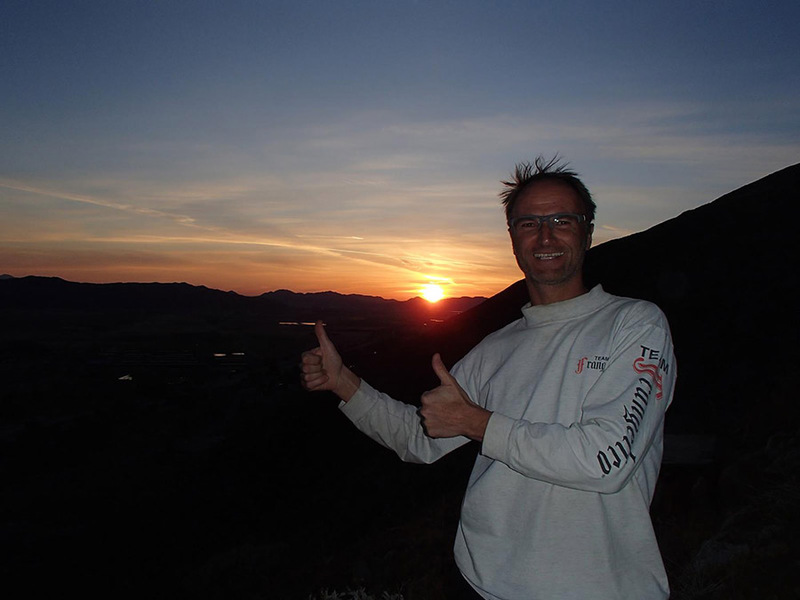 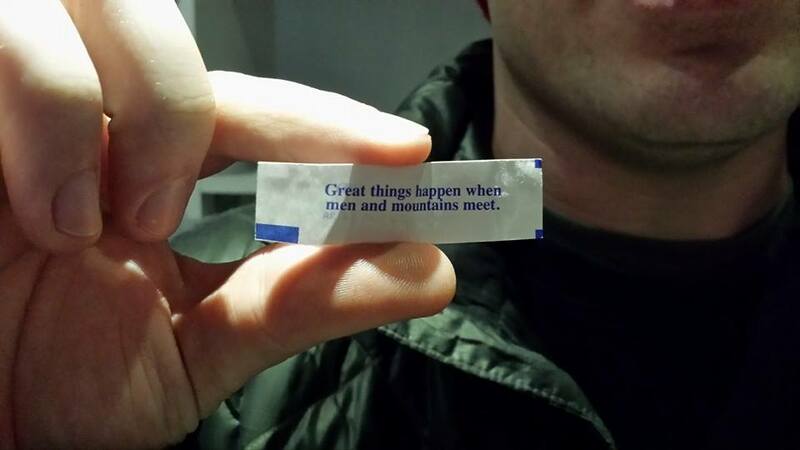 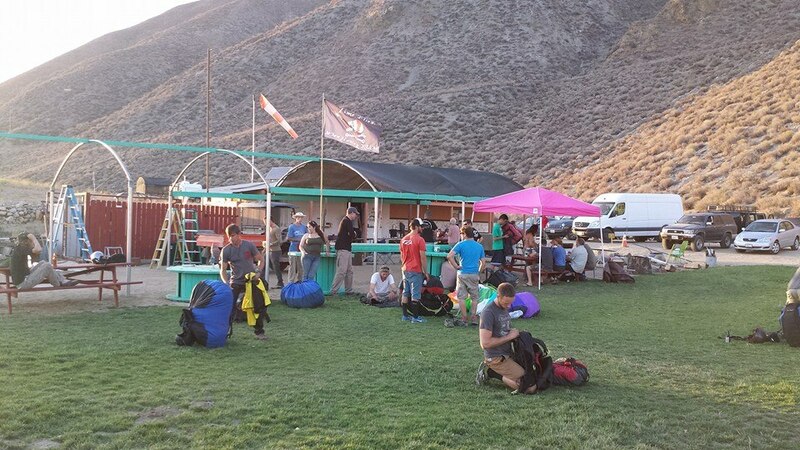 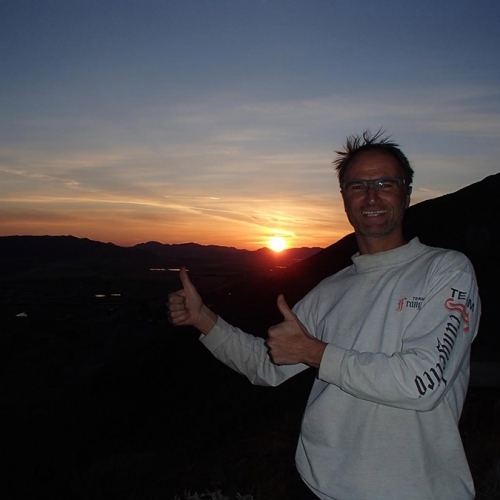 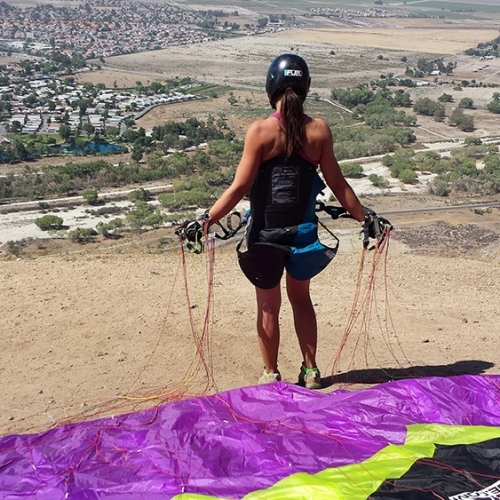 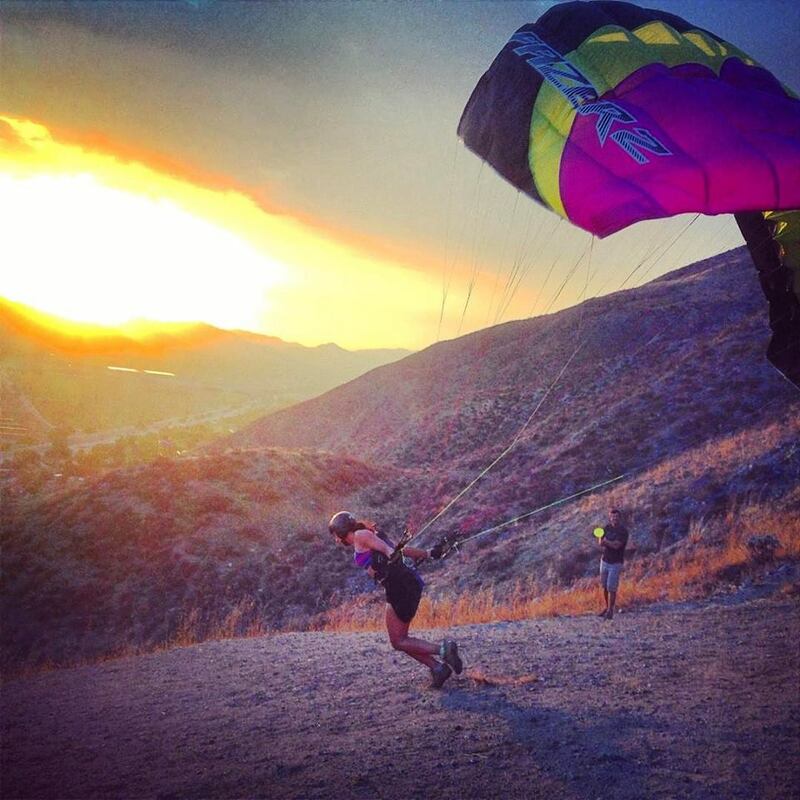 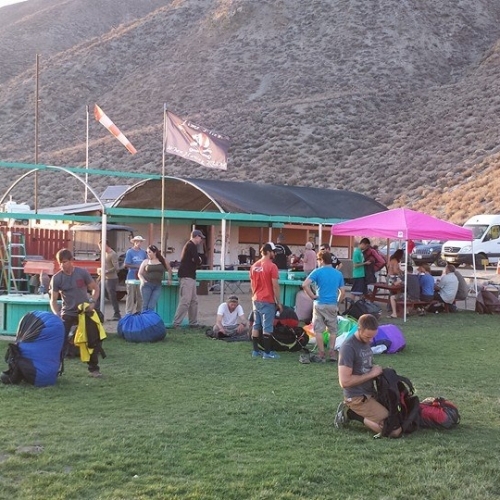 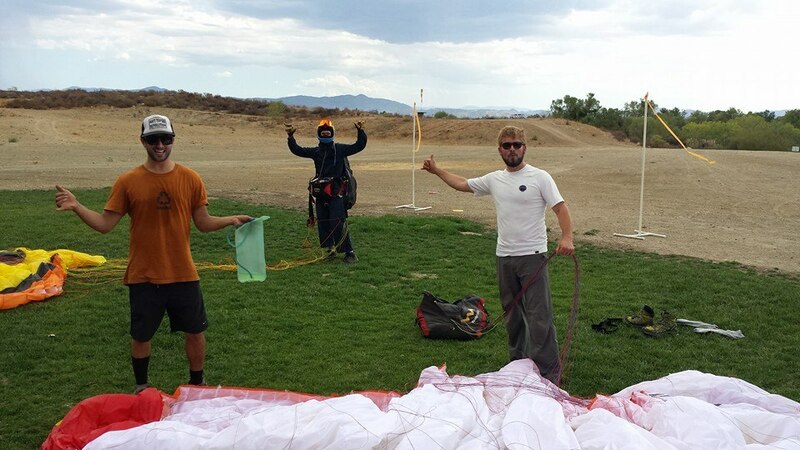 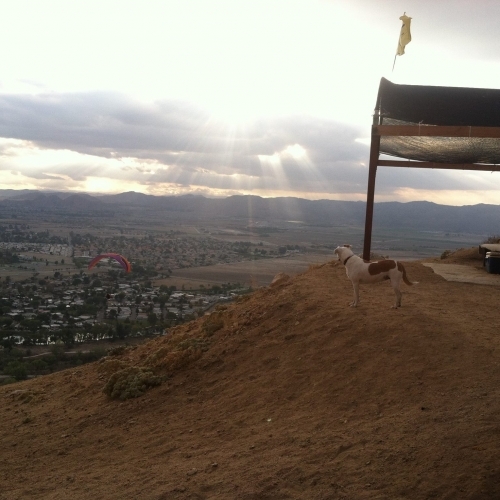 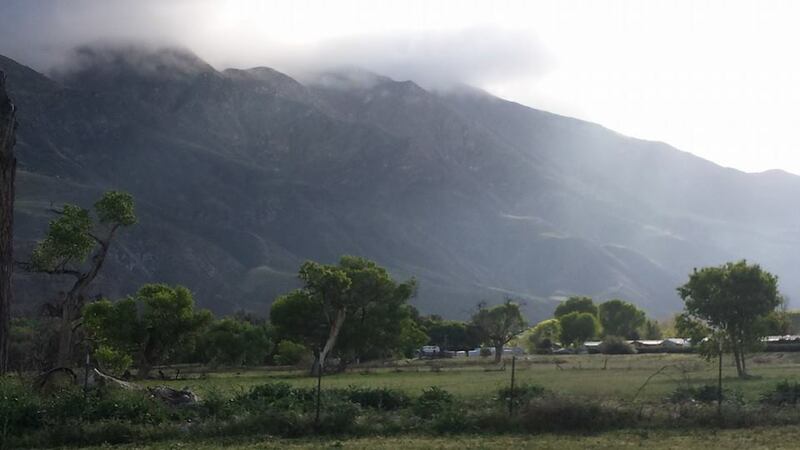 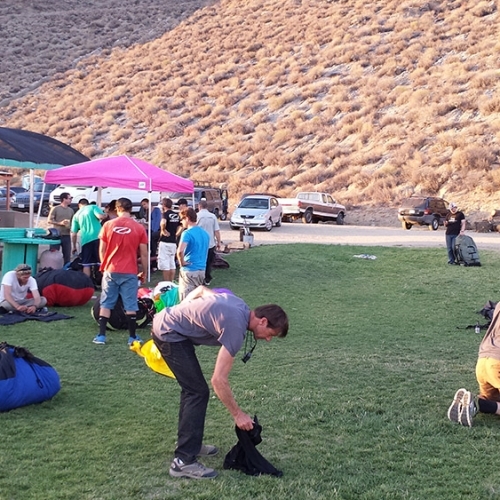 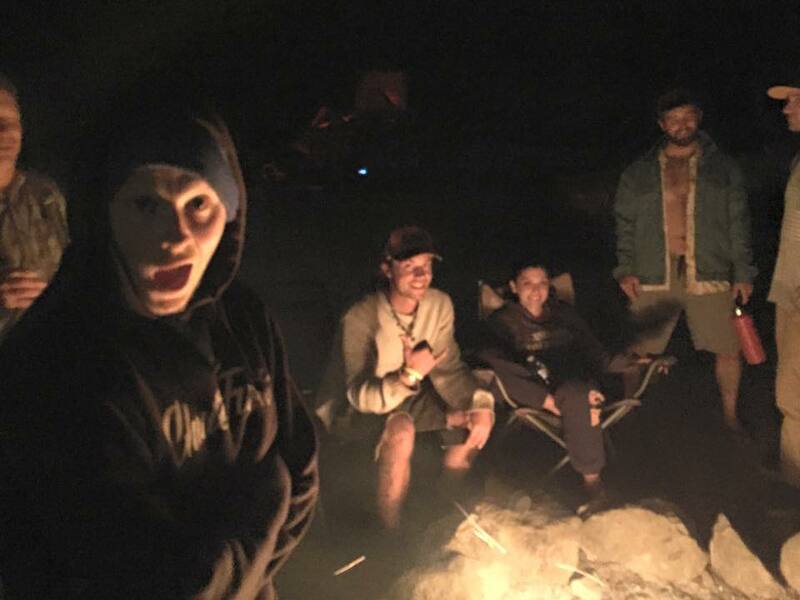 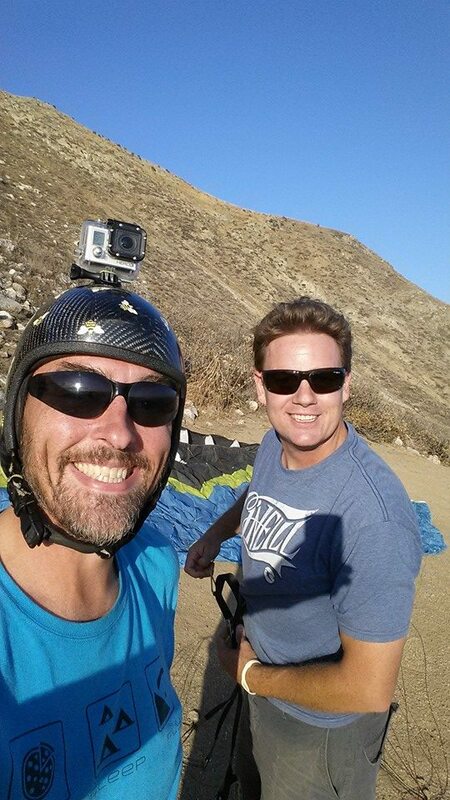 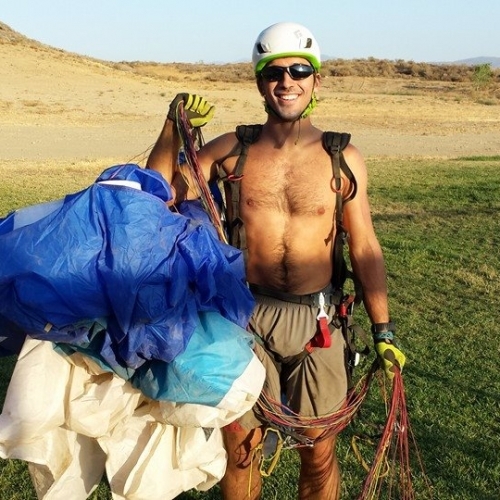 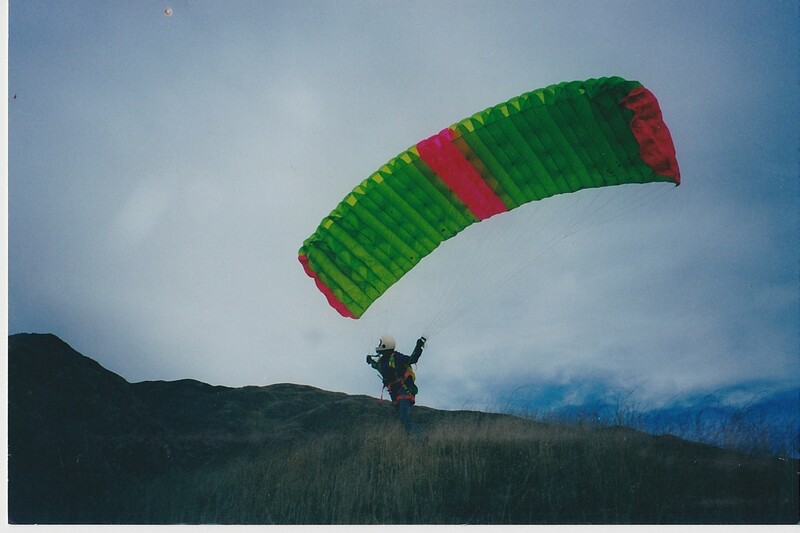 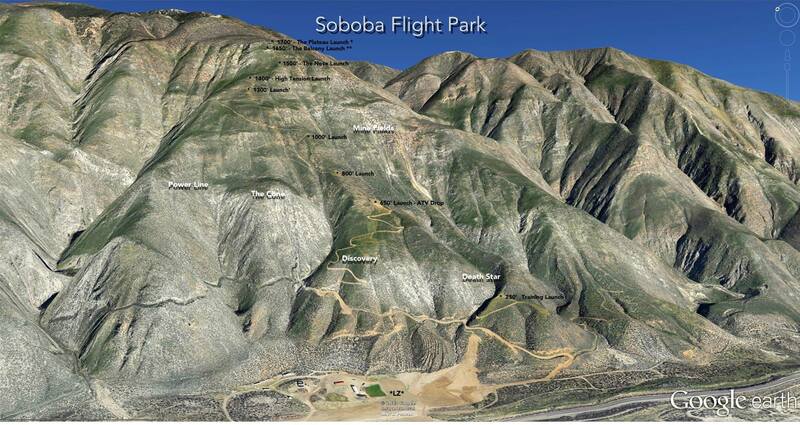 Soboba mountain has been a world class paragliding destination since the sport’s inception in the late 80’s. 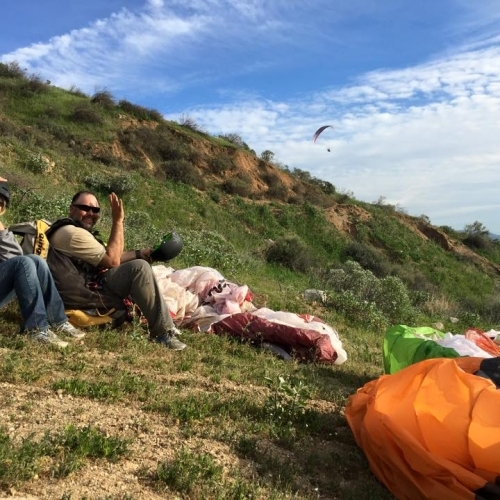 It has the perfect combination of attributes that make for epic flying: a 2200′ height, steep face, huge landing area directly at the bottom, smooth terrain features, Southwesterly exposure, and a consistent Southern California climate. 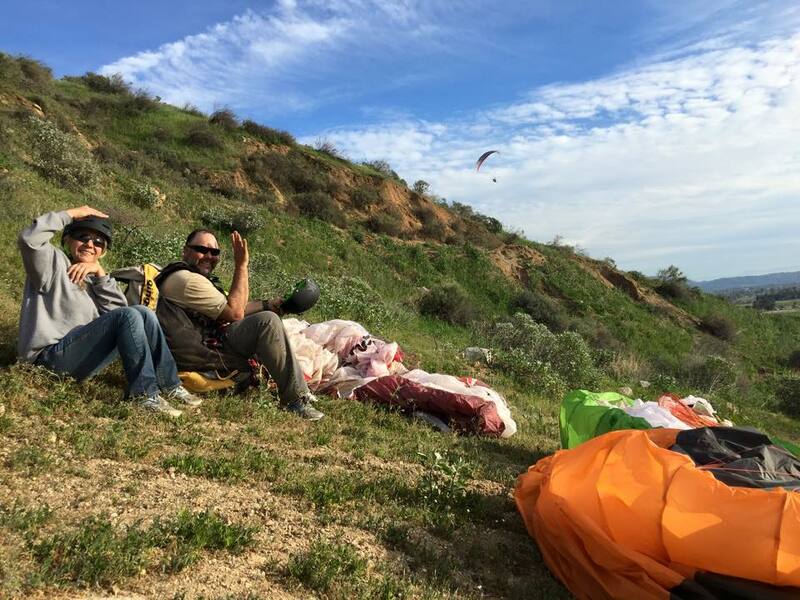 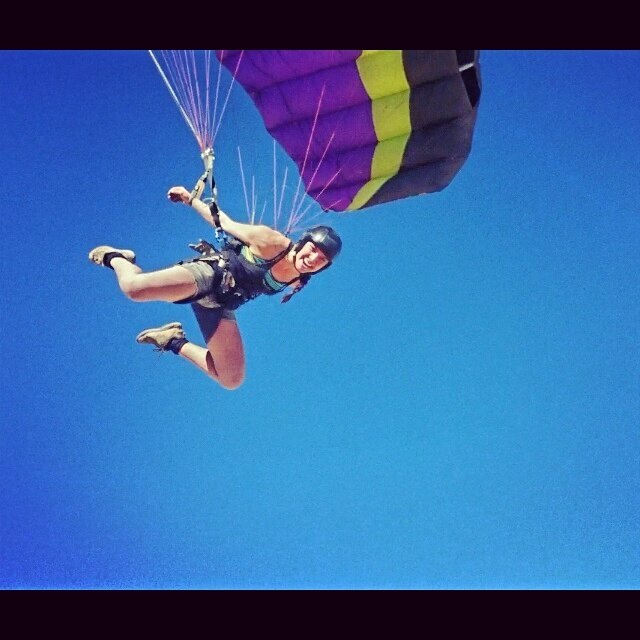 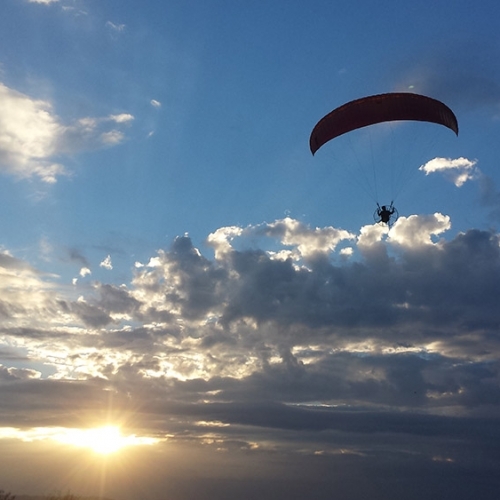 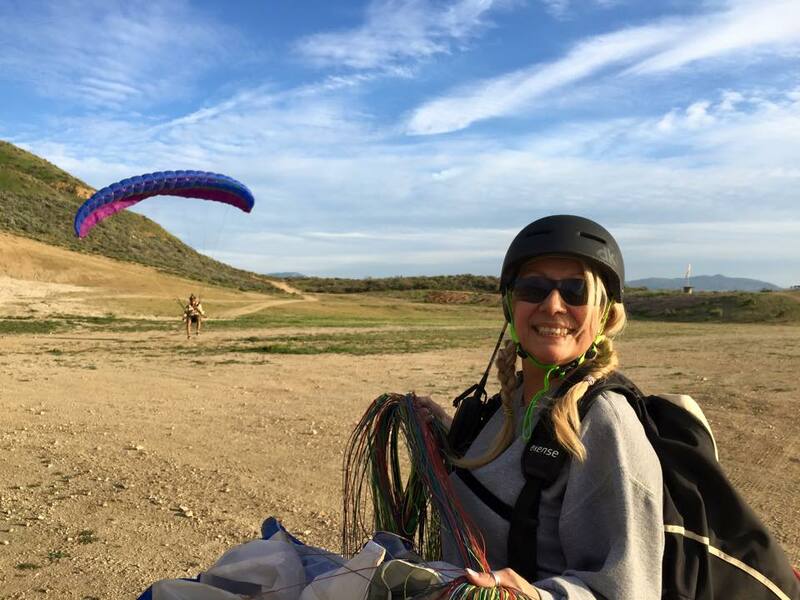 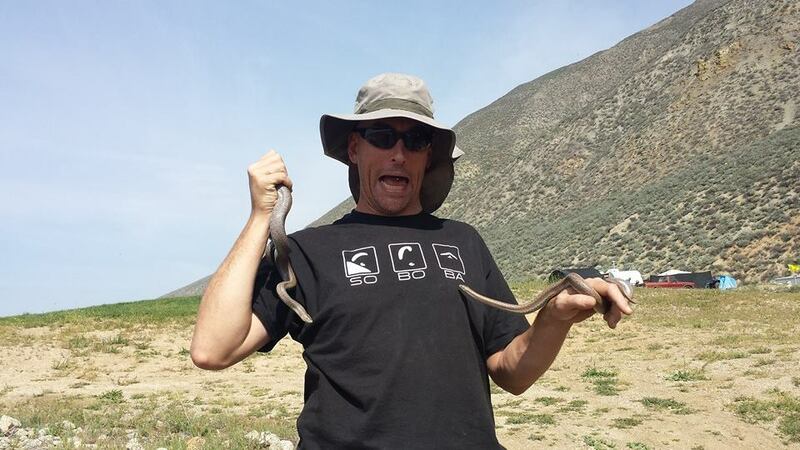 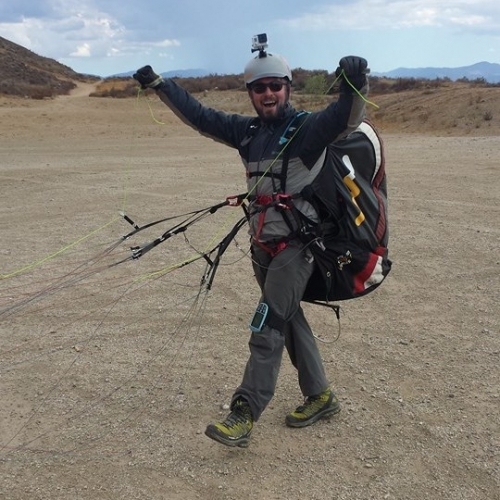 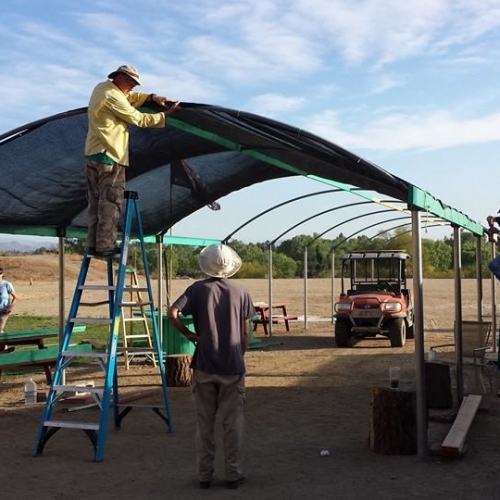 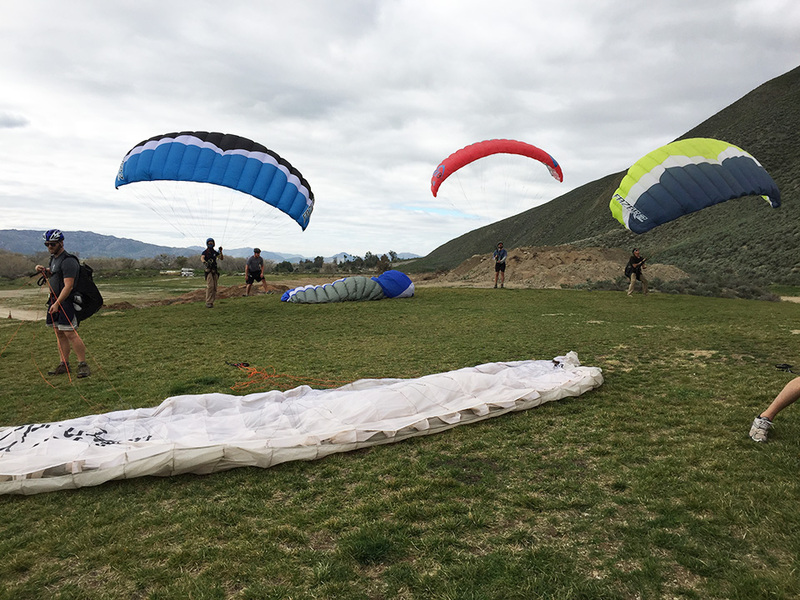 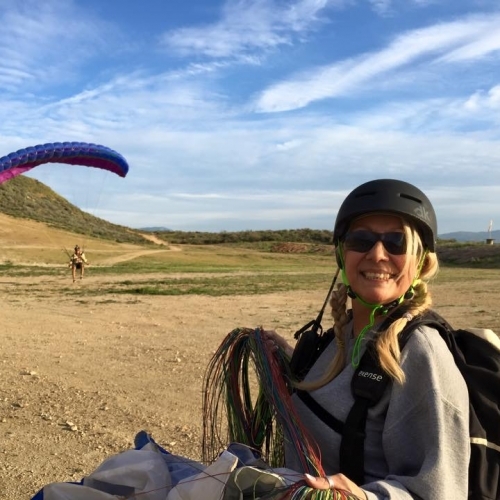 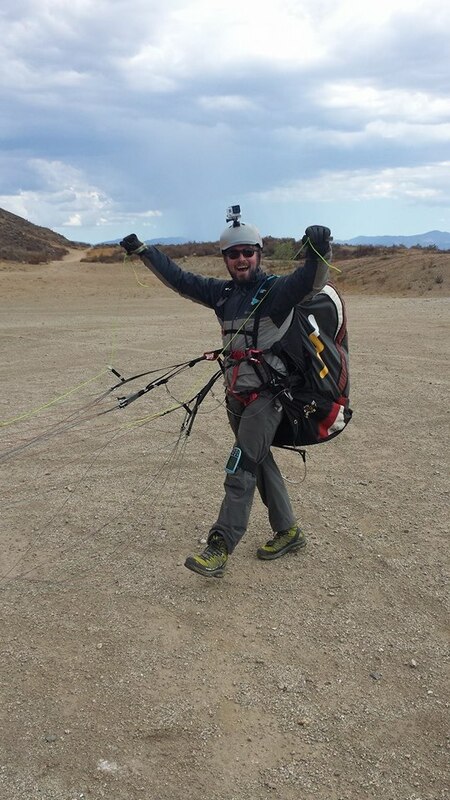 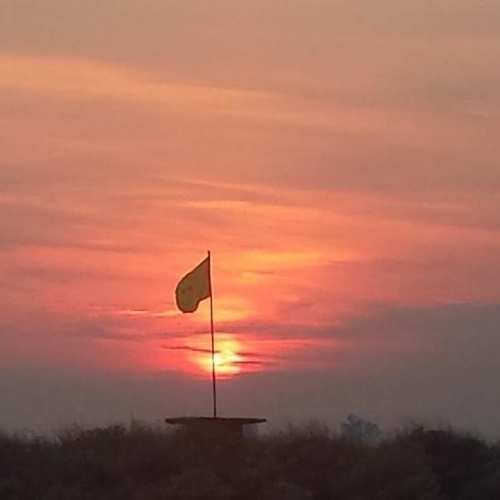 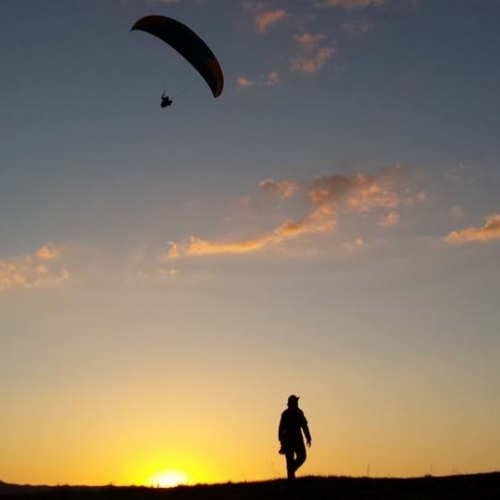 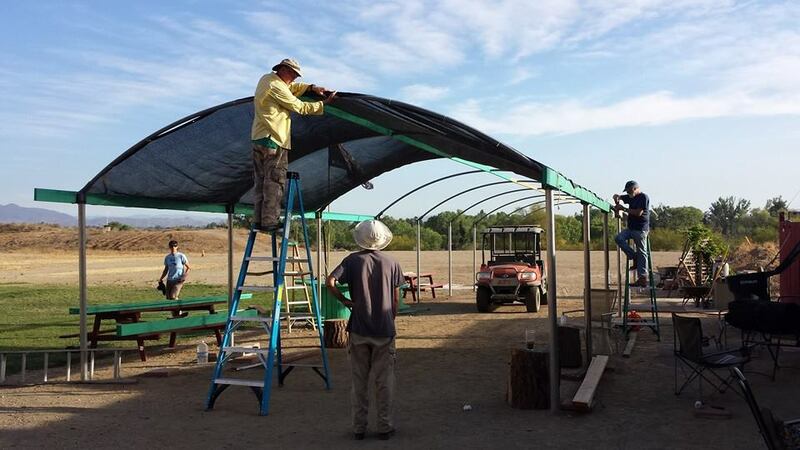 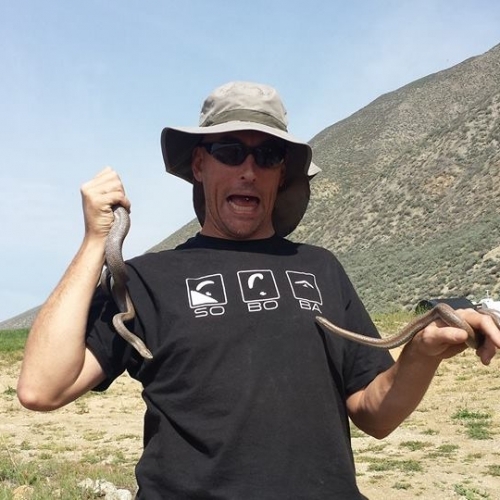 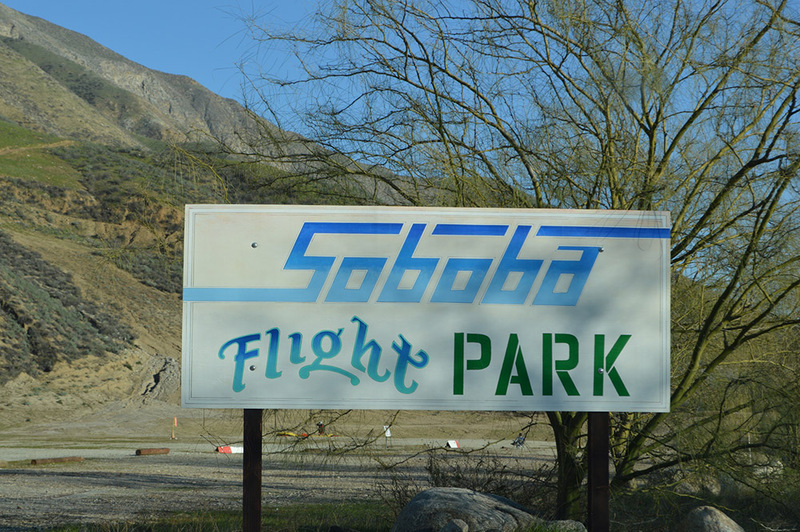 Soaring flights of many hours in duration are common at Soboba! 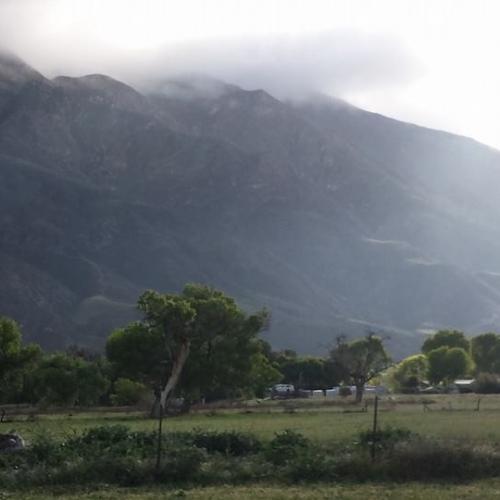 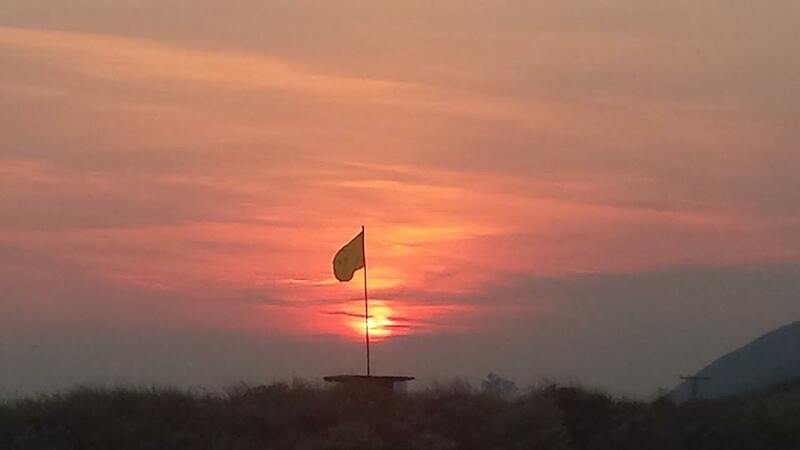 However, for two decades the site was plagued by access issues stemming from disgruntled landowners, so it could never grow as a flying destination. 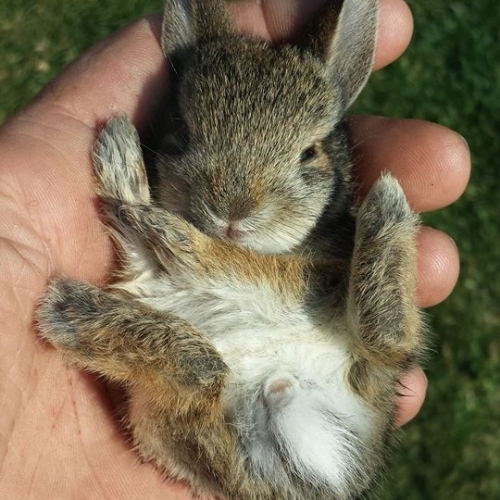 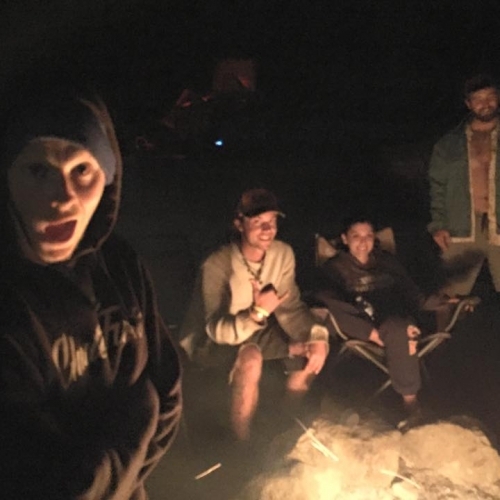 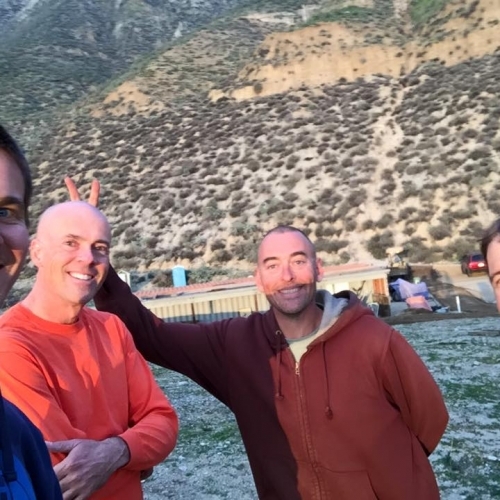 In the 2008 economic downturn, the land was taken back by the bank, and fortunately a small group of savvy pilots were ready to seize this huge opportunity. 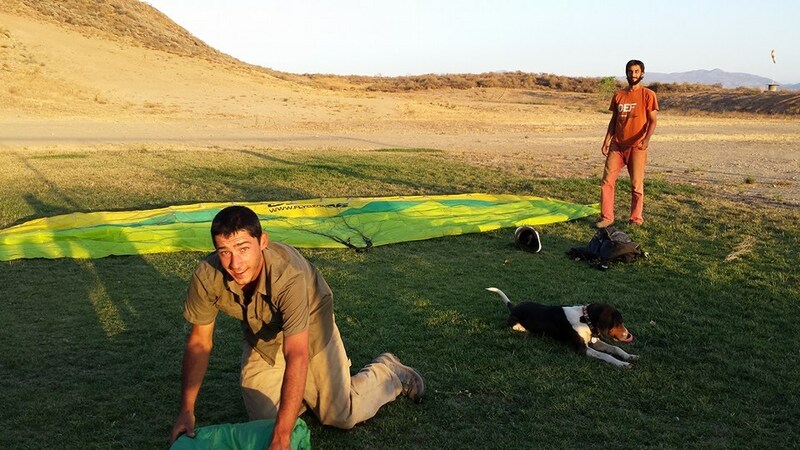 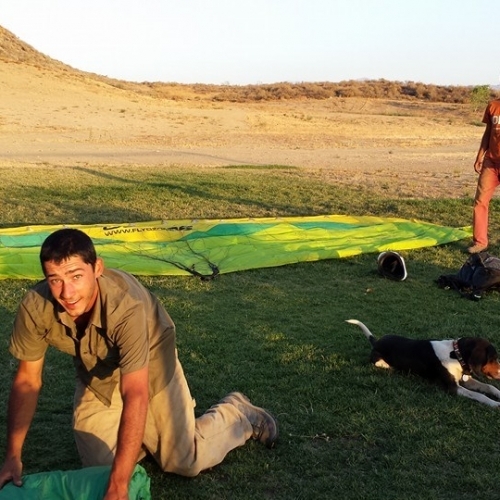 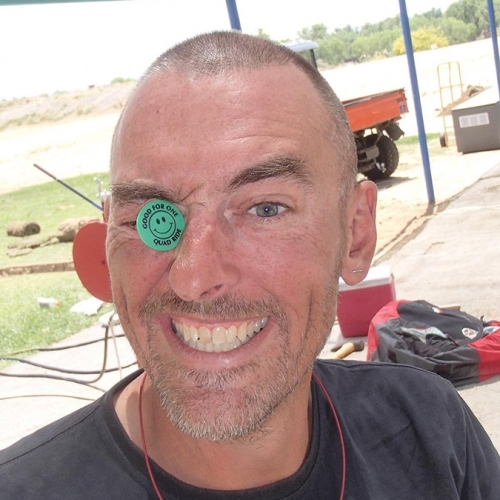 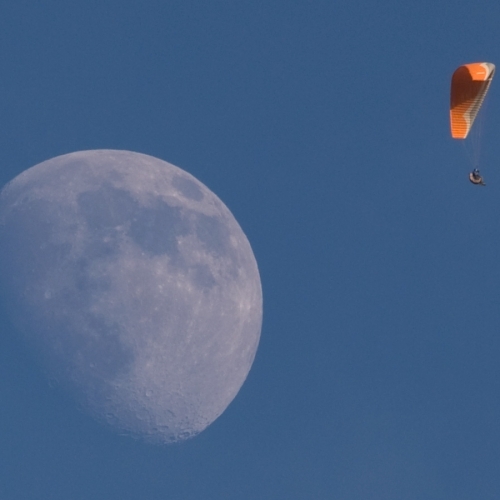 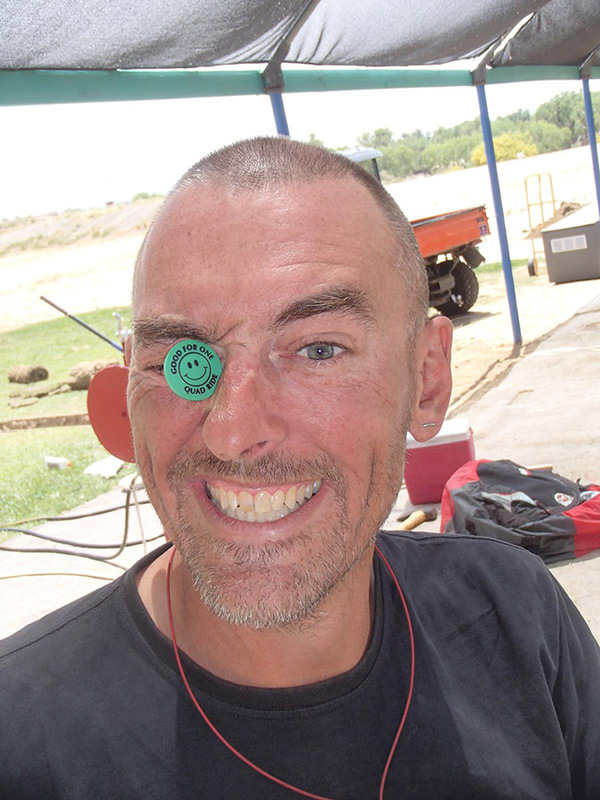 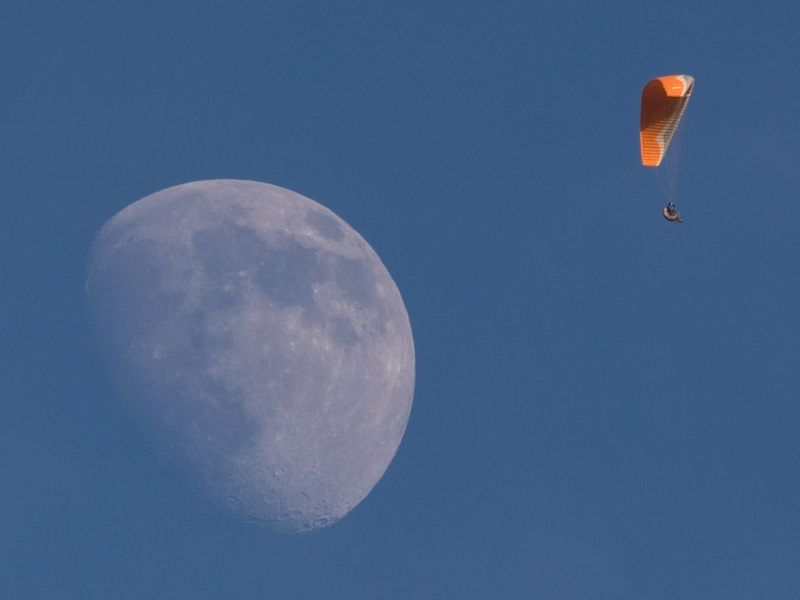 The land is now owned by pilots, a very rare situation in the paragliding world. 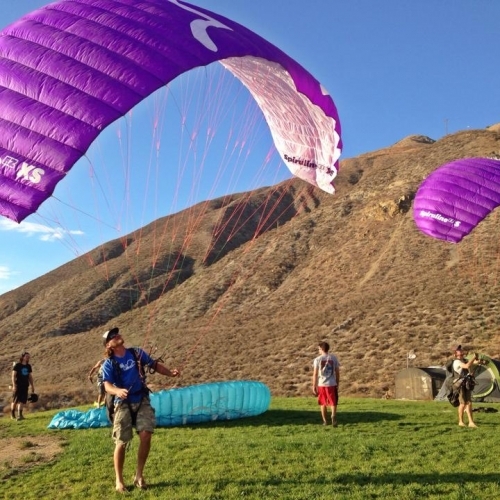 The news of this land acquisition quickly made its way around the small speed flying community. 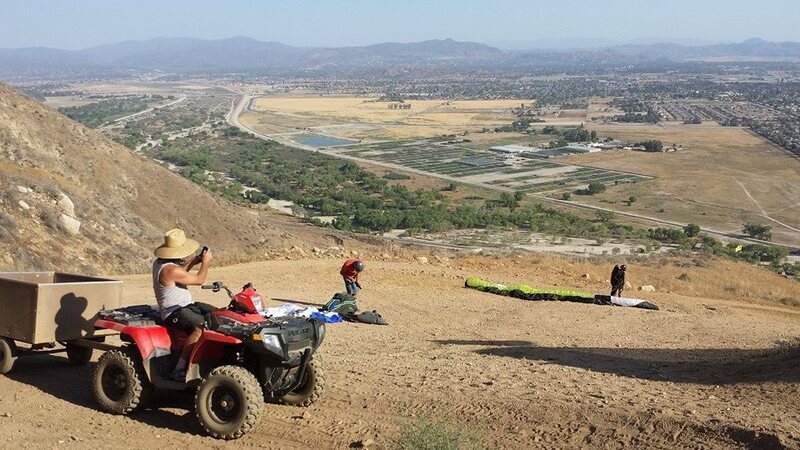 These pilots look for steep downhill runs with quick access to the top for making multiple laps in a day. 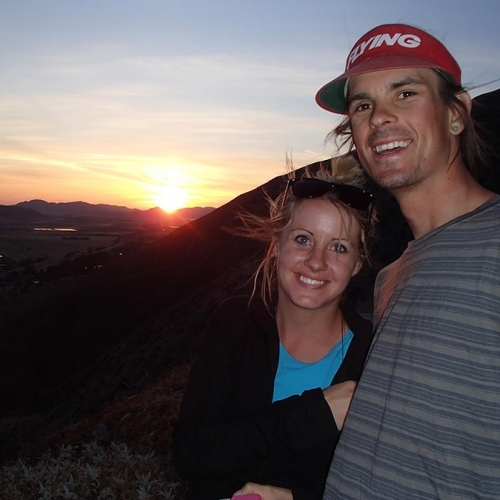 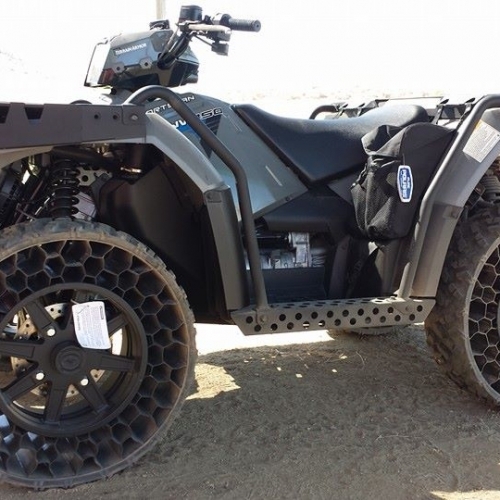 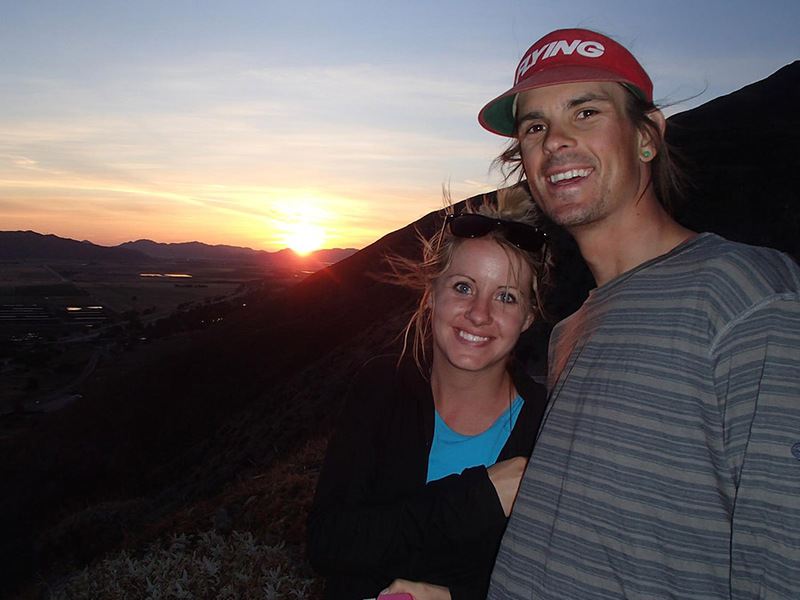 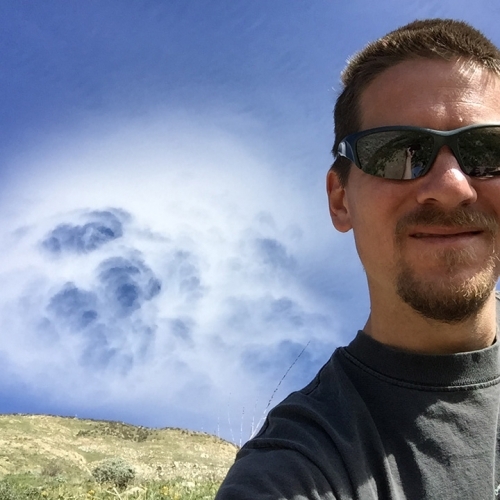 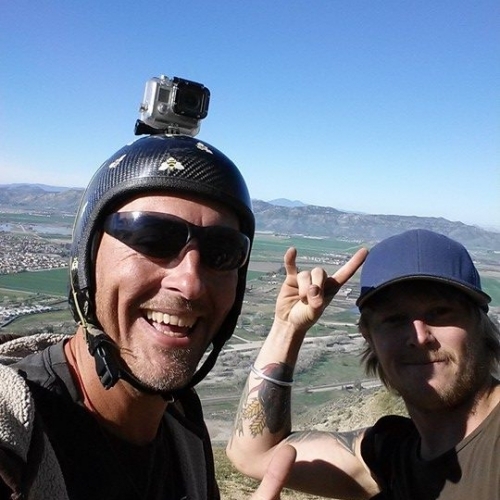 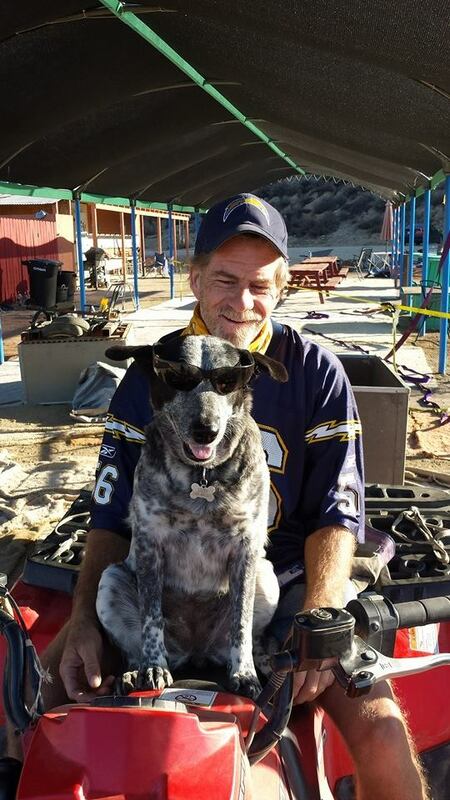 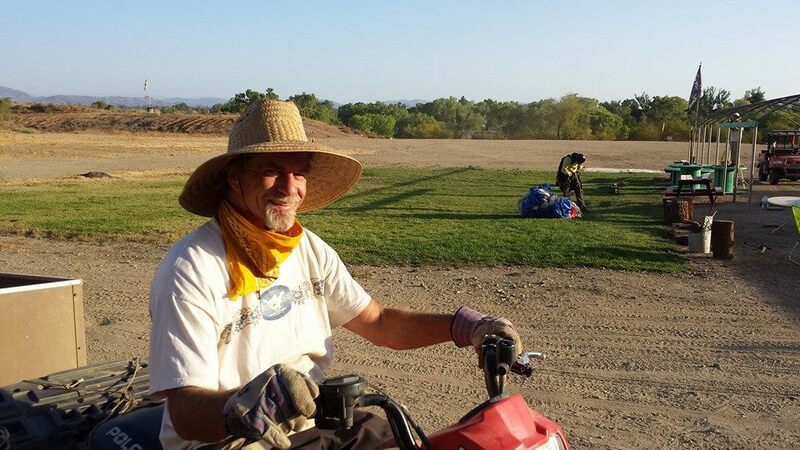 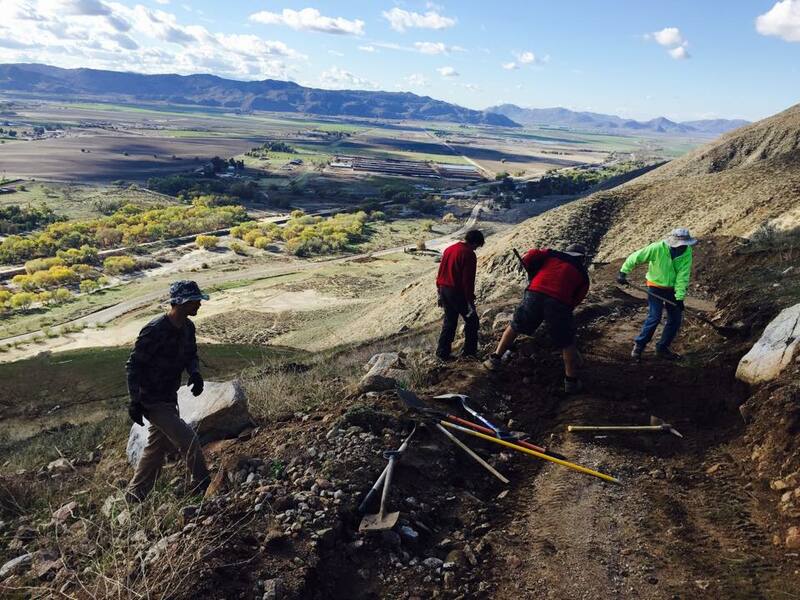 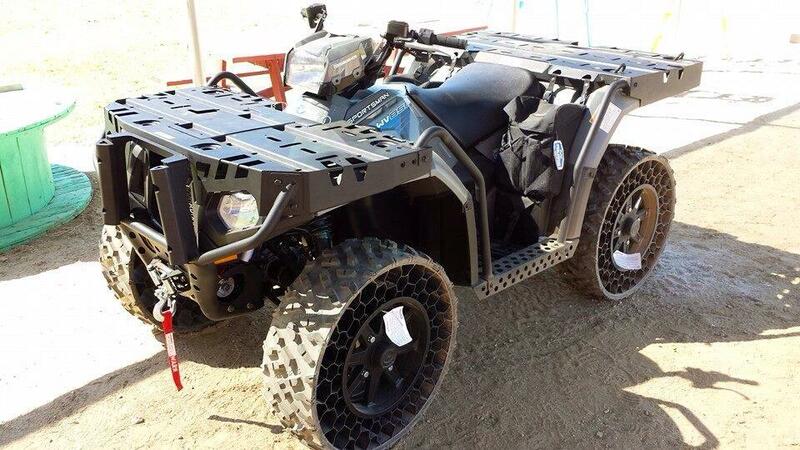 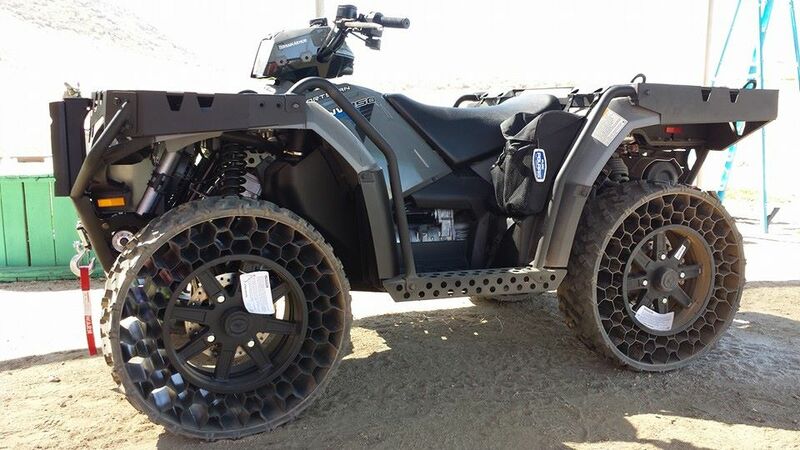 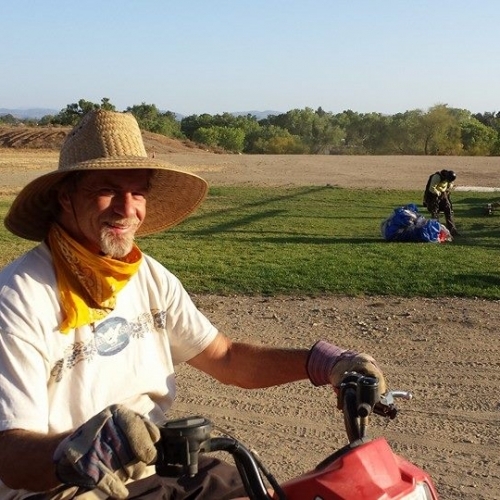 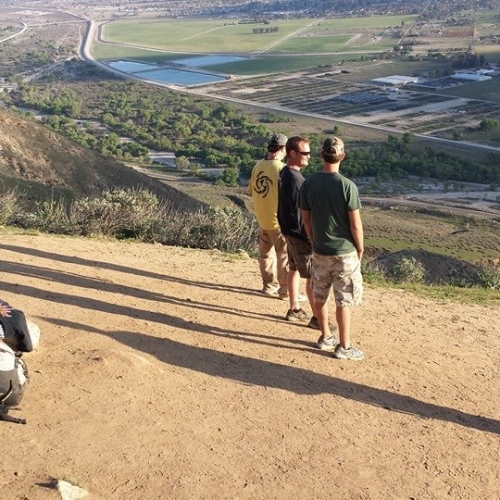 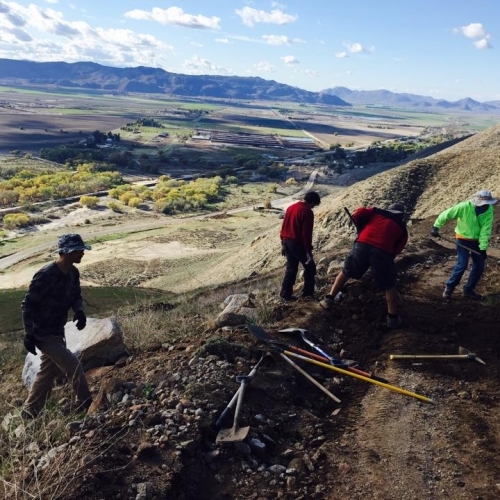 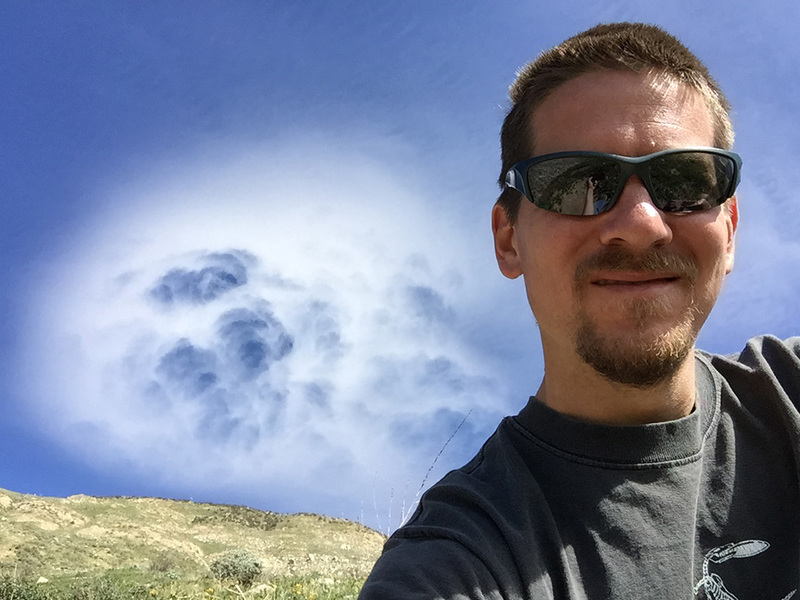 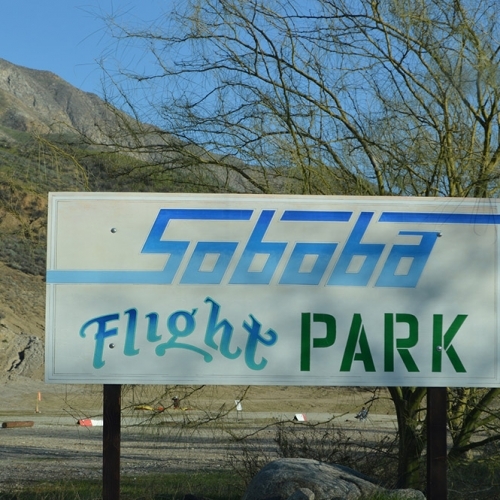 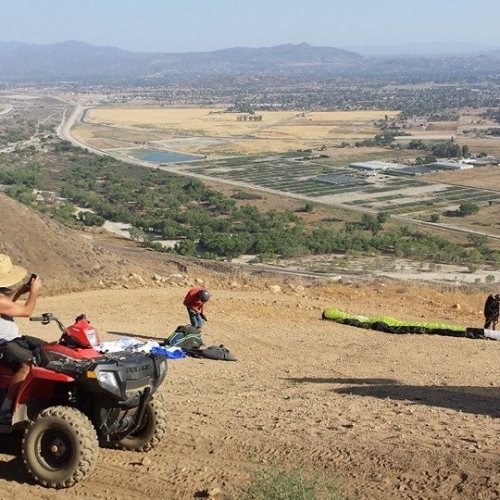 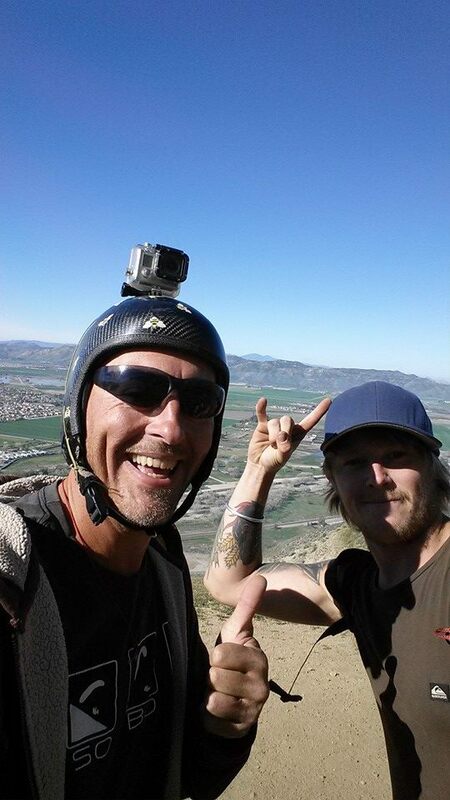 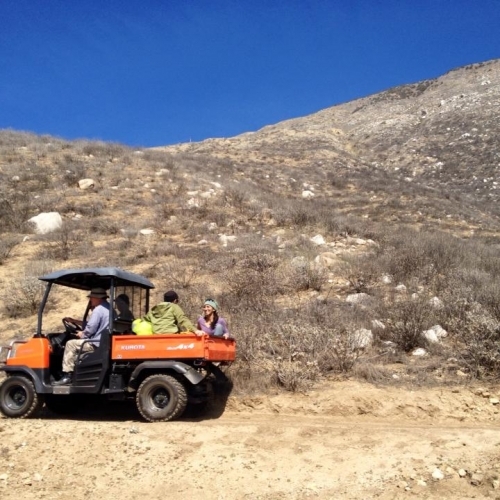 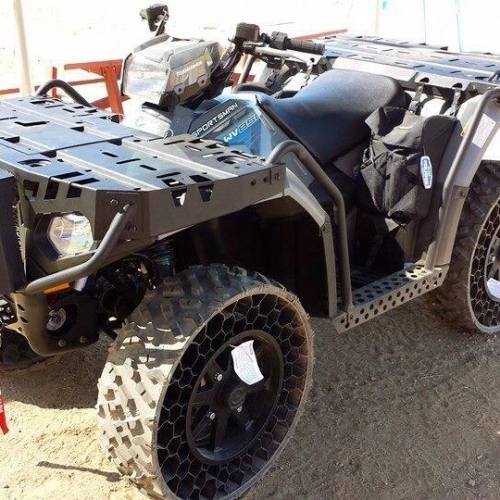 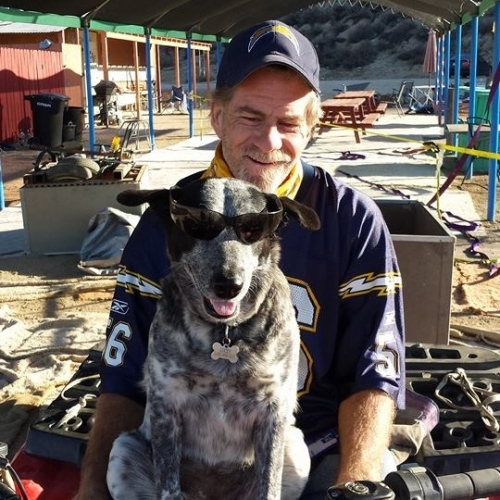 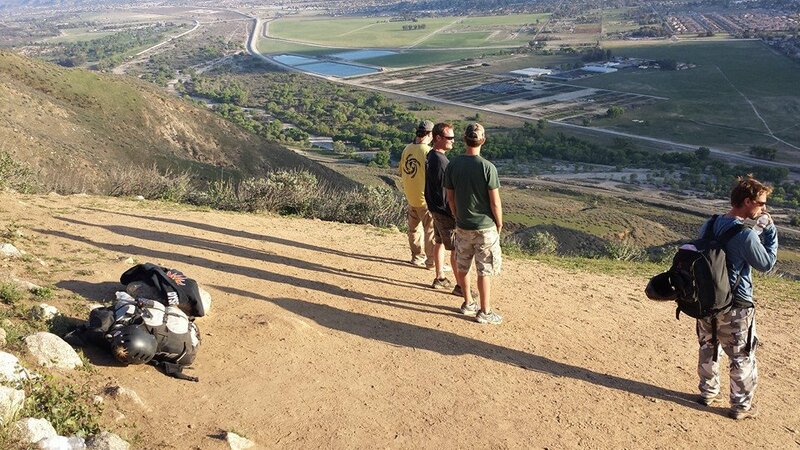 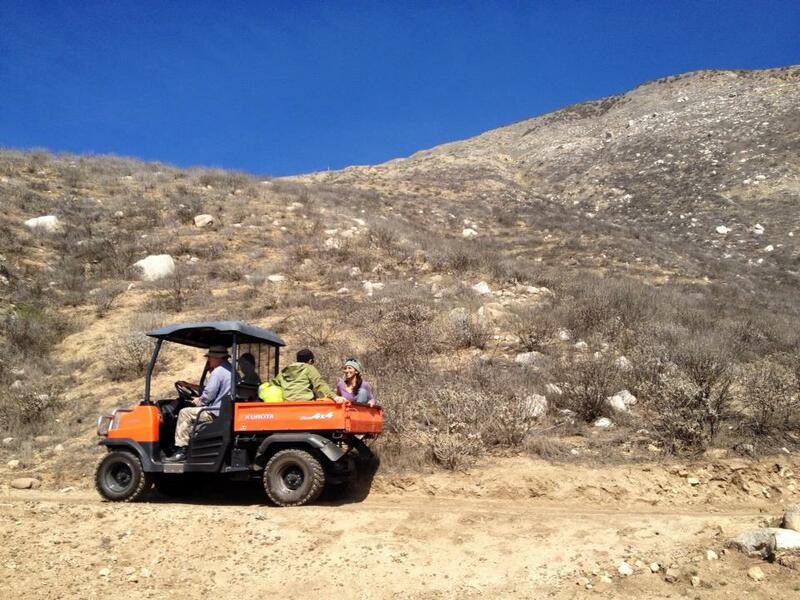 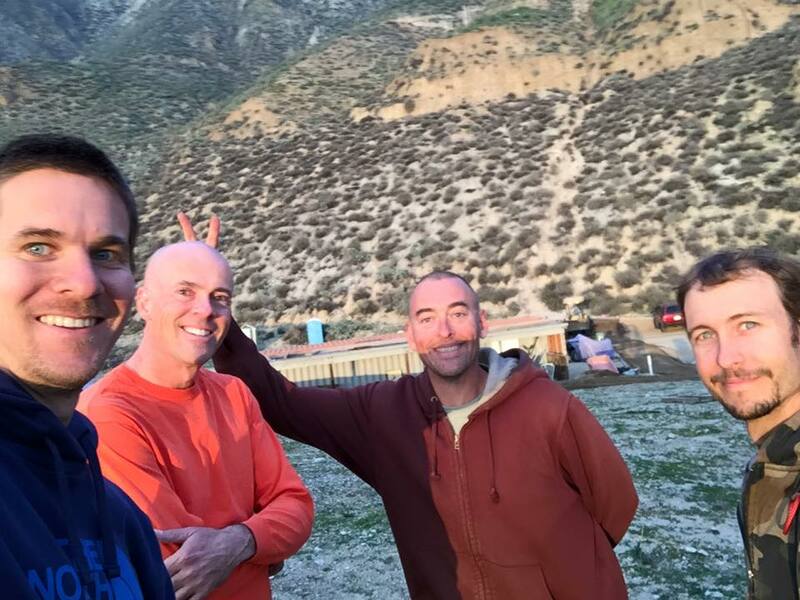 The owners and a local speedflying pilot saw the potential in Soboba, and started work on a trail up the mountain. 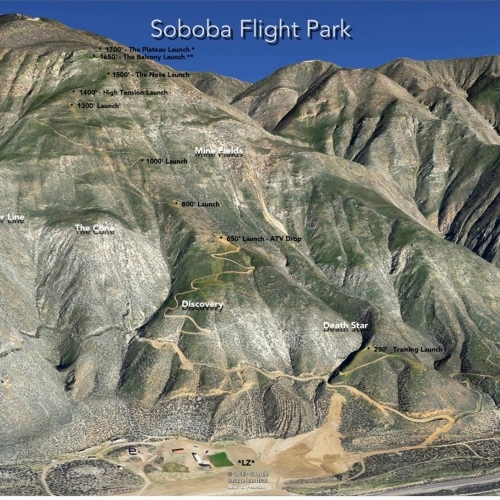 In July 2011, the trail and the “1050” launch were opened, and Speedfly Soboba was born. 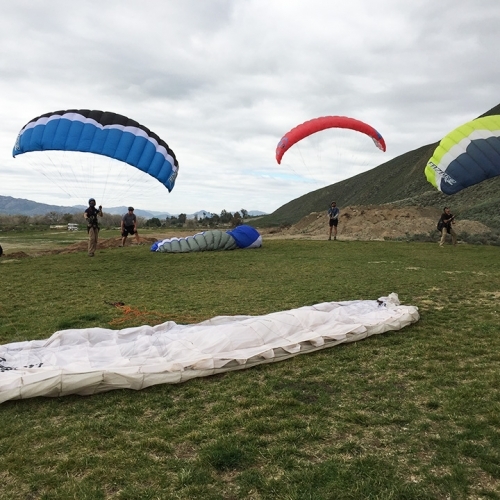 Speedflying pilots have been flocking here ever since, and the site is exploding as a world class speedflying destination. 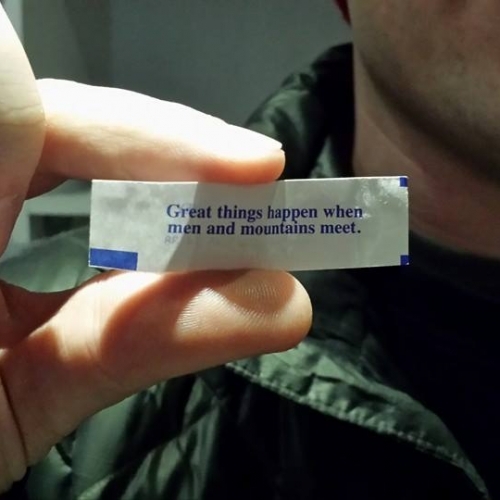 We hope you join us in this exciting time!